On closer inspection, you should be able to determine that polar bears are in fact mammals, covered in fur, with fearsomely toothed mouths, while penguins are (admittedly eccentric) birds, covered in feathers, with beaks. LGBT polarites of both types exhibit rainbow coloration (see above) and are fiercely proud and out, and cannot be distinguished on those grounds. 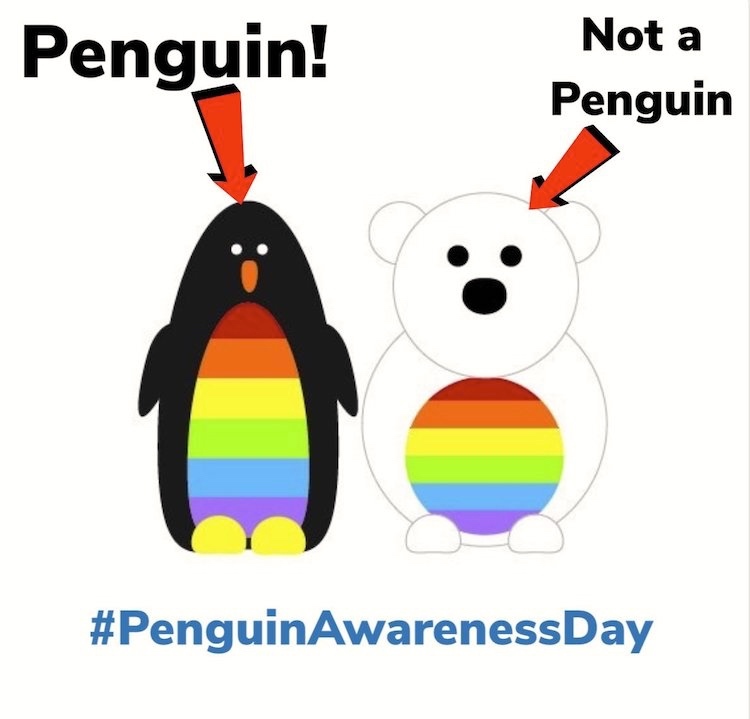 This entry was posted on January 20, 2019 at 1:57 am and is filed under Gender and sexuality, Holidays, Language and animals, Penguins, Rainbow. You can follow any responses to this entry through the RSS 2.0 feed. You can leave a response, or trackback from your own site. Also, polar bears will actually eat you.